Let’s face it guys, most of us don’t like going to the grocery store. After all, what hard-working man has the time to trudge up and down each aisle, past moms with screaming children only to arrive at the check-out line in front of some old guy paying in pennies? It may not be fun, but somebody’s got to do it and it might as well be you. Once you learn more about nutrition, you’ll understand why fast food should never be your only choice and buying groceries could prolong your life. You may have heard the old saying, “You are what you eat”. That’s not just a saying. It’s true. You are what you eat….literally. Get this. According to scientific research, each and every one the cells in your body is replaced every 7 years. What are these new cells made from? The food you eat! If your diet consists mostly of greasy fast-food hamburgers, French fries, boxed cupcakes, and donuts, your cells are made of the same stuff. That means you’ve got French fry fingers, boxed cupcake eyes, and a donut belly. Yup, it’s true. So what’s your body made of? After you’ve sat down to a meal, how do you feel twenty minutes to half an hour later? Tired, sluggish, disconnected or energized, focused, and ready to take on your day? You can tell a lot about the food that’s best for your body based on how you feel after eating. If you feel sick, cramped, and bloated, you’re either eating unhealthy food or your body has an intolerance to something you’re ingesting. If you really don’t know the difference between processed food and whole food, you’re not alone. You’re not dumb either. Most guys don’t ever think about turning over a package of food and reading the label. They just know they’re hungry so they grab something and eat it. The difference between processed food and whole food is actually pretty easy to understand. Processed food is usually anything you find in a box, bag, or can that’s already prepared and ready-to-eat. These foods are called “processed” because they’ve taken what used to be whole food and filled it with preservatives, additives, and food dyes so it will remain shelf-stable for long periods of time. Studies show, food preservatives such as BHA/BHT, sulfites, ascorbic acid, and food dyes can cause everything from concentration problems to autoimmune disease. Whole foods, on the other hand, are just what they sound like. They are the “whole food” with no additives or preservatives, just like nature intended. In order to look and feel your best, it’s important to get nutrients from this second list. That isn’t to say don’t ever visit another drive-thru again but stuff like that is best eaten in moderation. The best way to get nutrients for your body and avoid life-threatening diseases like high blood pressure and heart disease is to start reading food labels. When you shop around the perimeter of the grocery store and pick out organic meat or vegetables, there’s not much label-reading to do. However, when you’re choosing even a seemingly-healthy food such as yogurt, it’s important to read labels because not all yogurts are created equal. For example, does your brand contain preservatives, food dyes, aspartame or high fructose corn syrup? Turn it over. The list of ingredients may really surprise you. Snack chips aren’t always horrible for you. They may be high in calories but if you’re going to snack on them, just make smarter choices. Eat natural potato and corn chips that only contain ingredients you can actually pronounce. They may cost a bit more but it will be worth it in the end. For a man to be really physically fit, he has to do more than just work out at the gym. 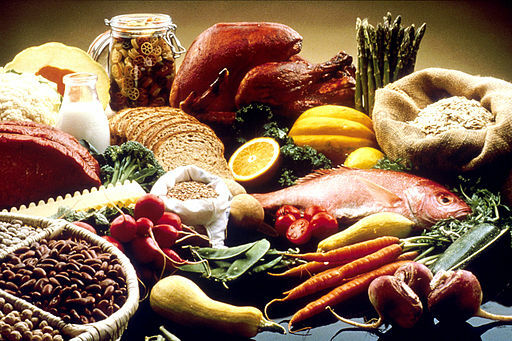 Good nutrition is the building block of men’s fitness. If you’re eating a diet high in processed and fast food, you’re probably going to be tired, foggy-headed, and not all that interested in consistent exercise. That spare tire will grow and so will those feelings of uselessness. To make matters worse, poor nutrition can also lead to erectile dysfunction. Men with elevated cholesterol levels run the risk of cardiovascular disease, which could lead to vascular constriction, loss of blood flow, and impotence. The best nutrition a man can get when he wants to build real muscle is healthy protein. Sometimes it’s hard to get all the protein you need from everyday meals. Thankfully, male bodybuilders can pack on the muscle with protein supplements. Be careful, though. Only load up on high levels of protein if you’re definitely planning a hard workout. Also, be careful with soy protein. Some men have reported growing breasts from consuming too many soy products. Scary, huh? It’s important for vegetarian men to know all they can about nutrition and how their diet affects them. There are plenty of protein options out there for vegetarian men. These include eggs, beans, nuts, seitan, whole wheat, oat bran, and flaxseed. Rounding out your diet with vegetables and fruit will help you sustain enough energy to get through your day and enjoy time with that special someone. Men living with lactose intolerance or gluten intolerance need to know more about nutrition than men who don’t live with food allergies. Men living with gluten intolerance especially need to be label-readers. Even if the label reads “gluten free” on the front, be sure to check out the back. There might be a ton of hidden additives and preservatives you didn’t think were in there listed there. Men with lactose intolerance can avoid soy-based products by drinking lactose-free milk or almond milk. Gluten-free guys have a lot of rice-based pastas and millet-based breads to round out their diets. To feel your best and get the most out of life, it’s important you really understand about nutrition. Get nutrients from whole foods and save processed foods for a once-in-the-while treat. If you’ve been living on convenience meals for years or even decades, it will take a while to get used to good nutrition. Your body will go through a withdrawal period and you may feel irritable and tired while continuing to crave junk food. Toughing it out and continuing to eat healthy will be worthwhile when you start to feel (and look) better than you ever imagined! Thinking about adding a multivitamin to your diet? Vitamin Code for Men fills in the gaps in your diet in an all-natural formula!